termite galeries, will pressure inject as far into the wood as possible. It depends on the species of termites you are dealing with. In this case, I am going to assume that you are talking about Drywood Termites, since treatment for subterranean termites would not usually require a "gallery treatment"
You might be "overthinking" this. When you apply any termiticide into the termite galleries, all you are trying to do is to kill the adult termites. The immature termites require the adults for survival, just like a human baby requires an adult for survival. So in essence, all you are trying to accomplish is to apply enough insecticide to kill the adults. IF you can drill into the termite galleries, almost ANY amount of chemical will kill them in that area. The trick is to be sure that you have drilled into the galleries, and to make sure you have treated ALL of the colonies. 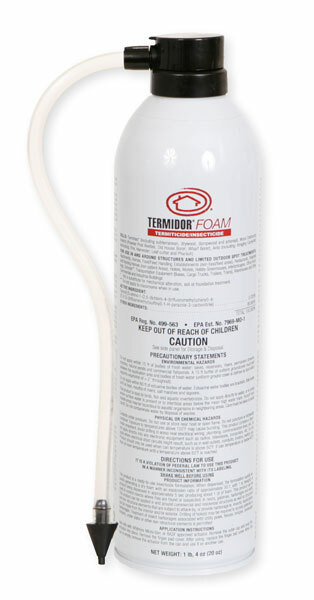 Termidor Foam is by far the single best product for this purpose. It may not expand like you want it to, but the transfer effect from termite to termite will be enough to kill the colony. Let me know if you have any more questions.